If they're an A+ teacher, then they deserve the recognition. Let them know how much you appreciate their hard work and dedication by giving them one of these Customizable Coffee Mugs, personalized with their name. 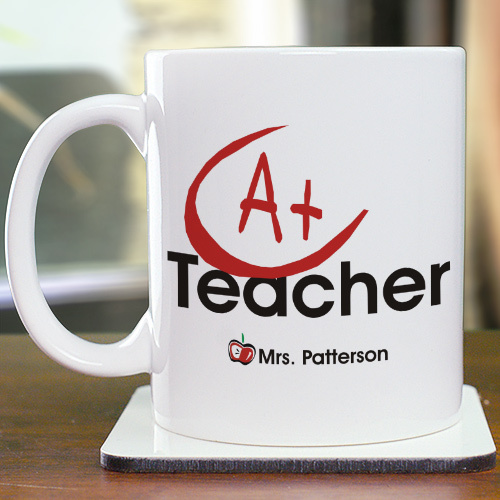 Get your favorite teachers personalized mugs today. I really like this mug its for my grandsons teacher this will get him some points.